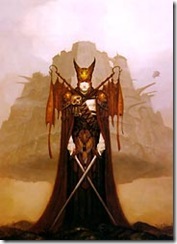 The brilliance of Brom’s art is nearly beyond words. It is sinister and lively, rich and sparse. His subject cover full spectrum of fantasy and topics. Each one is realized in a truly original way. 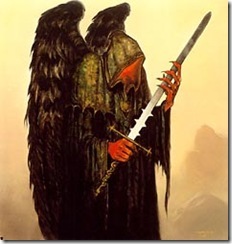 His art has been featured in Earthdawn and Elric, and can currently be seen in his book, The Devil’s Rose or on his official site.